Yeah, it's been more than a month since I blogged. Hey, it's summer! I'd rather be outside working on my tan than working on my blog. I've been traveling, attending social media conferences (Evo'11, a social media conference for women, in Park City...where I met Elmo! 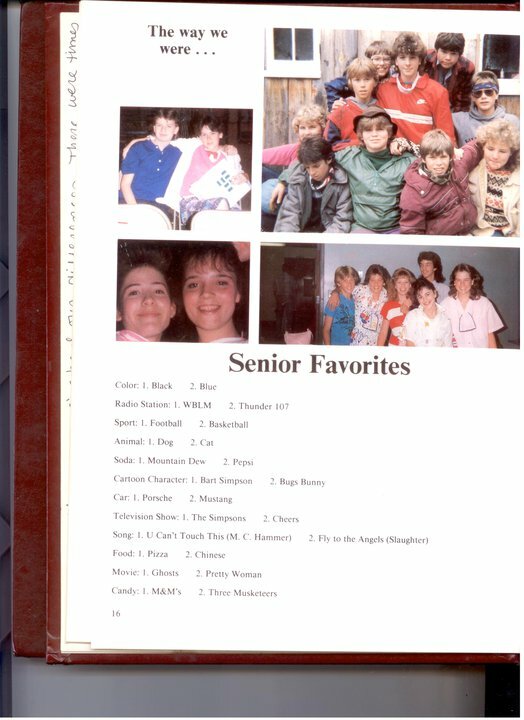 ), turning 28 for the 10th time, and, oh yeah, getting ready for my upcoming 20 year Windham High School class reunion in Maine. We're going to party like it's 1991! That's me and my bestie, Jen, in the bottom left corner. I think that's from Jr. High. So, other than having weird dreams about all the people from high school I haven't seen in 20 years, I've been obsessing about how I'm going to get ready. Figuring out what steps I have to take to look my hottest require a lot of thought and careful planning. For the next two weeks before the reunion, I'll be posting my prep for this momentous occasion of noticing how much everyone has aged. Who else has a high school reunion and what kind of things are absolutely important to do before I go? Help!